My blogger has been acting up so I have finally been able to get out all these posts I had saved up. So for a couple of months now I've been obsessing over this guys' style. 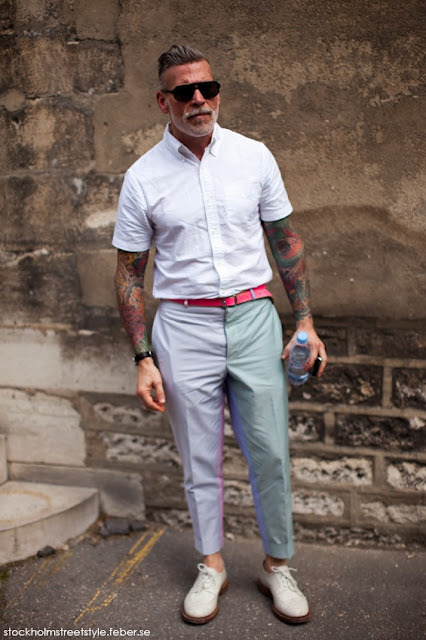 I LOVE a man with good style but this surpasses good style. 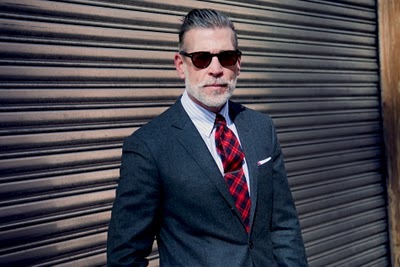 This is the perfect combination - badass, masculine style dipped into some high fashion and a touch of "only I can pull this off" sort of style. I always thought about how weird older men look with a bunch of tattoos, but Mr. Wooster you have completely changed my mind. LOVING IT! 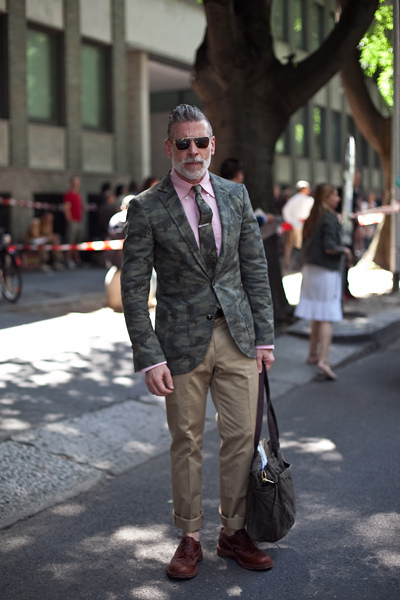 This goes out to all the men...please get your style game right! Mi blogger ha estado actuando raro pero finalmente e podido sacar los posts. 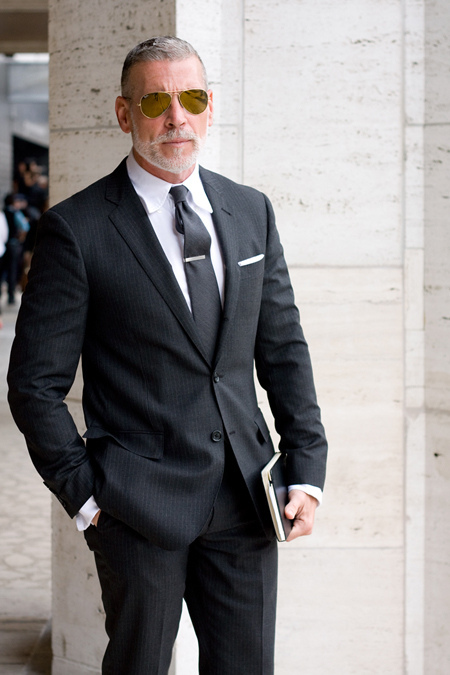 Amo un hombre con buen estilo, pero esto supera buen estilo. Esta es la combinacion perfecta - estilo masculino con un toque de alta moda y un toque de "solo yo puedo hacer este look". 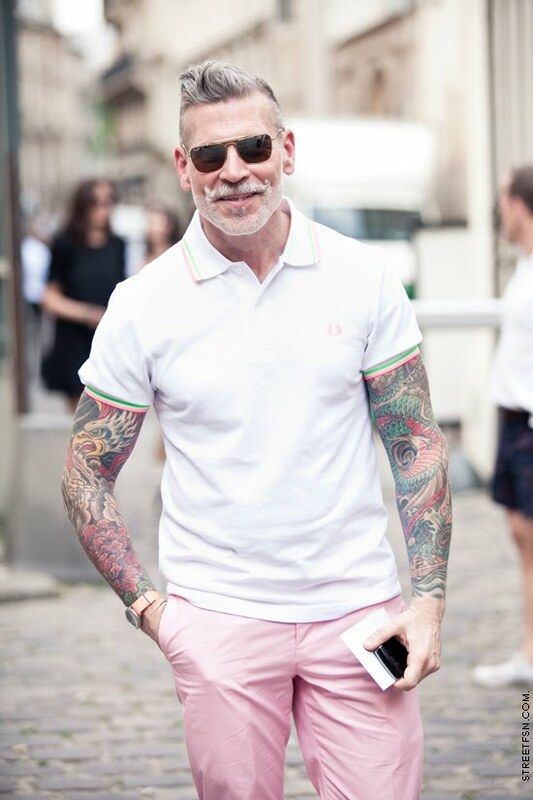 Siempre he pensado sobre lo extrano que se ven los hombres mayores con un monton de tatuajes, pero el senor Wooster a cambiado mi mente por completo. Atencion hombres...porfavor poner mas atencion a como se visten. I love everything about this guy too......except for the floods!!!! What's with the floods?